Before I left on my trip to the US, I searched our bookcases for a copy of Bill Bryson’s A Walk in the Woods. I was so certain I owned it. I read it years ago, but vividly remembered his descriptions of hiking the Appalachian Trail with his friend Stephen Katz. Their heavy packs, their attempts to get rid of annoying fellow hiker Mary Ellen, being caught out in extreme weather. But the book was nowhere to be found. I must have borrowed it at the time, or lent it out and forgotten about it. I wanted to re-read it because right in the middle of my ten-day holiday I had set aside two days to drive myself from New York City to Washington DC by way of the Appalachian Trail. I’d planned some day hikes on the AT or sidetrails, and I was looking forward to reading Bryson’s snarky descriptions of the areas. Luckily, the day before I left NYC, I walked into the Strand Bookstore, and there it was, on one of the display tables. Now armed with A Walk in the Woods, I started my own walks in the woods. The first hike was a short one. I found Pine Grove Furnace State Park early in the morning, and parked in the almost empty parking lot at the base of Pole Steeple Trail. The only other visitor was a birdwatcher, sitting quietly on a bench overlooking the lake. The main challenge of the short hike up to the overlook point was the sheer amount of gnats. 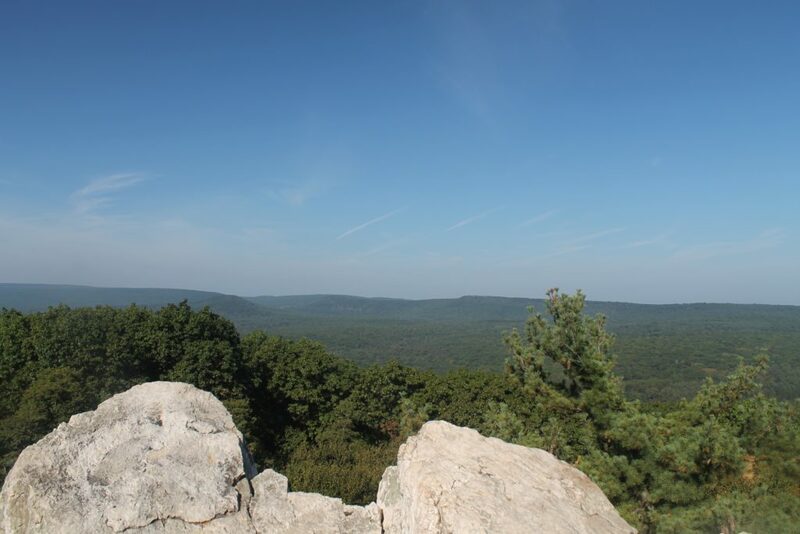 But once I reached the cliff and walked out of the shadows of the trees, the annoying gnats were gone, and I stood in bright sunlight on a rock overlooking Cumberland Valley. This hilly landscape is part of one of the oldest mountain ridges on Earth. The Appalachian Mountains formed more than 400 million years ago, back when Pangea was being formed and all the continents were connected. Most of the prehistoric Central Pangean Mountains became what is now the Appalachians, but they also formed the Atlas mountains in Morocco and the Scottish highlands. The smooth green hills of Pennsylvania don’t look like a rugged mountainous landscape. The view wasn’t that different from what I’d seen at Algonquin Park. After so many millions of years, erosion has washed away most of the mountains, so they’re relatively easy to walk and accessible to anyone. Just as I was about to walk back to the car, two hikers of retirement age, one of whom was wearing a neck brace, joined me on Pole Steeple Trail overlook. They had just come from the nearby Appalachian trail onto this side trail to admire the view as well. Back at the base of the trail, I drove further into Pine Grove Furnace State Park. Somewhere here was the official middle of the Appalachian Trail, but I didn’t see the signs. The Appalachian Trail museum was closed because it was a Monday just after the official season. Even the famous Pine Grove Furnace General Store, where Appalachian Trail through hikers are challenged to finish half a gallon of ice cream in one sitting, was shut for the day. Bill Bryson, on his visit to this same site described the visitor area of the park as follows: “The park had snack huts, picnic tables, and a lake with a swimming area, but all were shut and there wasn’t a soul about”. Finding the exact same scene twenty years later, on one of the hottest days of the year, made me wonder if there are ever people around. 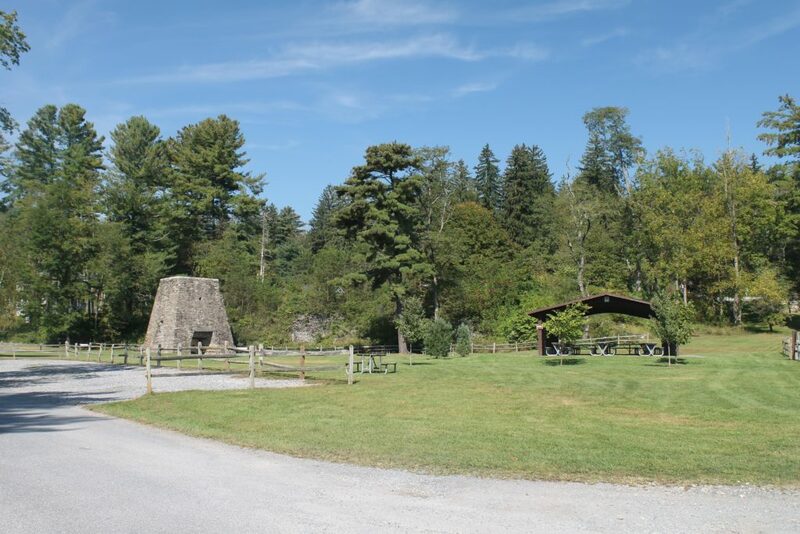 There was still one major highlight in Pine Grove Furnace State Park: the eponymous furnace. In the 18th and 19th century, this park – now aimed at hikers and people visiting the lakes in summer – was the location of the township of Pine Grove, built to support the Pine Grove Iron Works Before transportation of goods was as easy as it is now, the only way to efficiently deal with iron ore was to process it on site. Everyone in Pine Grove was in some way involved with the iron industry. Now, all that is left are some old buildings (the Ironmaster’s Mansion is now rented out for weddings and parties) and only the furnace stack of the old iron works still stands. I got back in the car and continued to my second hike of the day, at South Mountain State Park. 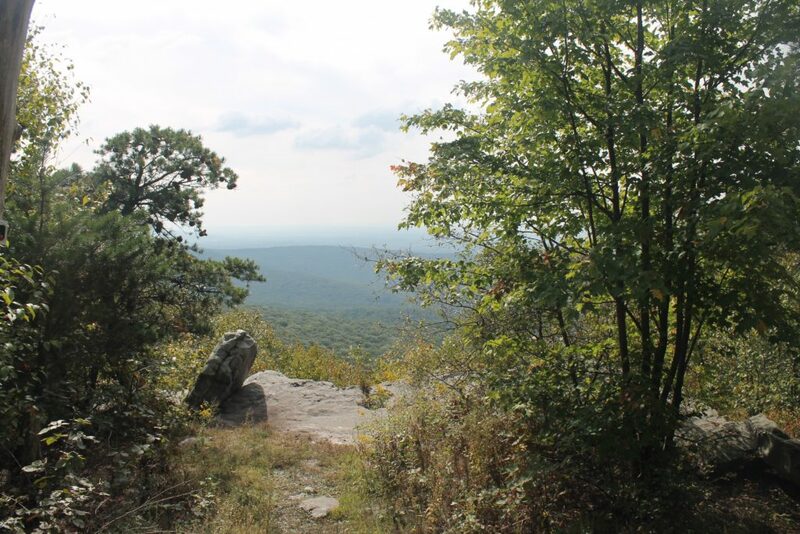 Just across the border in Maryland, this hike would take me along a 2.2 mile section of the Appalachian Trail to the top of Annapolis Rock. On the way up, walking South, I came across several hikers walking North. Most Appalachian trail hikers walk South to North, but these were not through hikers. They would have had to reach Maine by now to make it before the end of trail season. Now they were only about midway of the 2,200 mile trail. Annapolis Rock again gave a beautiful view of the surrounding mountains. And on the way back, now walking in the same direction and the same pace as everyone else, I appeared to be all by myself. It was both peaceful and a bit scary. I heard a rustling in the bushes a few times. Every time I stopped to look, the rustling stopped. Then I saw it: a chipmunk. And another chipmunk. And a squirrel. 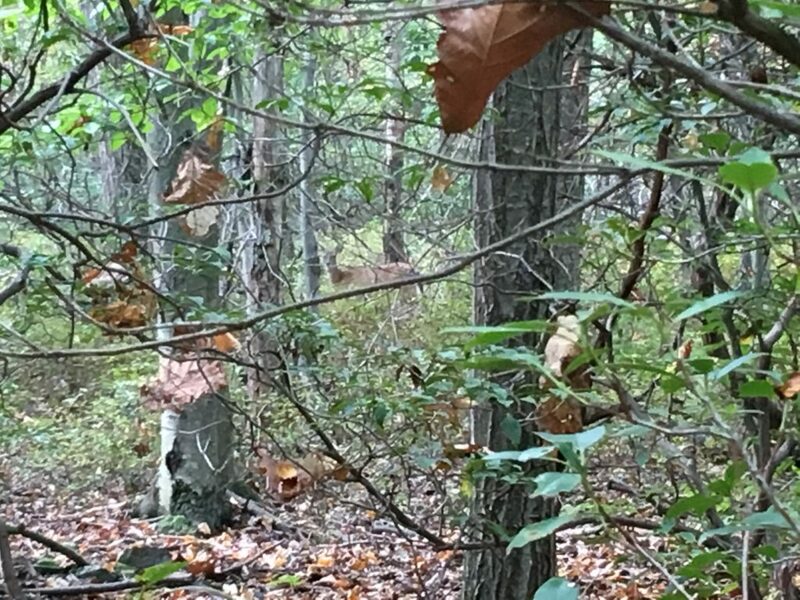 And suddenly, the loud cracking of broken branches and the sound of running: two deer! I did not contribute to any datasets. Instead, I got back into the car, and drove to Harpers Ferry. At the intersection of three states – Virginia, West Virginia and Maryland – this small town played an important role in the history of the Civil War. 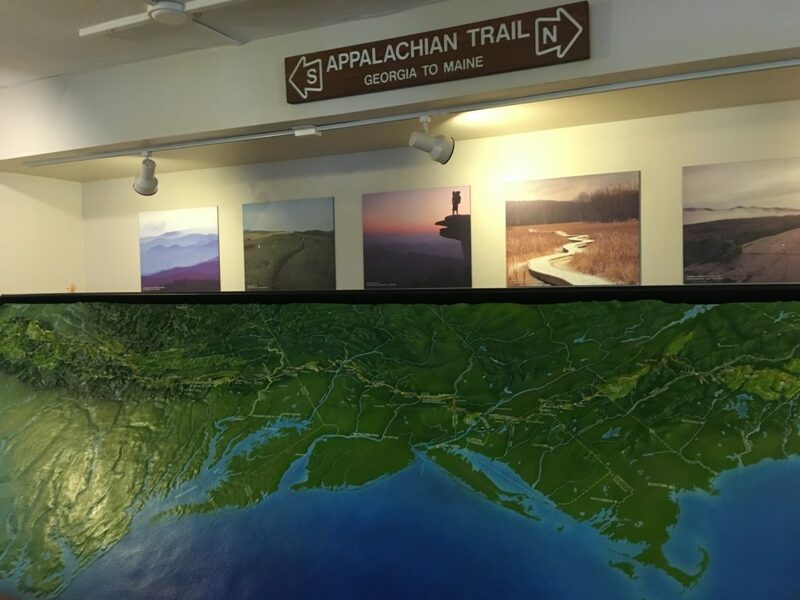 It’s also the location of the headquarters of the Appalachian Trail Conservancy, and unlike the trail museum in Pine Grove, their office was open and welcoming visitors. This, too, was a place I had read about in A Walk in the Woods. Visiting in 1997, Bryson found “a large-scale model of the entire trail”. And there it was, as promised. It clearly showed how varied the mountains are across the length of the Appalachians. Just barely hills where I was, the mountains further to the South (left on the map) were proper mountains! In three separate hikes, I walked a total of only about ten miles of the Appalachian Trail and some of its side trails. That’s just 0.5% of the length of the trail in two days, and I already saw so much. 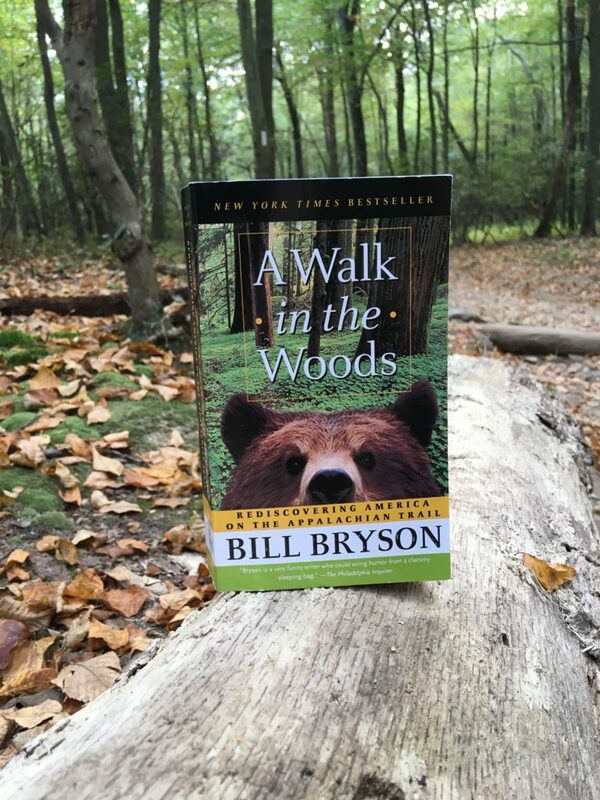 But as became very clear from Bryson’s writing, the vast majority of the trail is just a very, very long walk in the woods, with little change of scenery and few points of interest. Like Bryson does in the second half of the book, I deliberately drove to sections I wanted to explore. The Appalachian Trail is fascinating, and an opportunity to walk among some of the planet’s most interesting geology and a wide variety of plants and animals, but I would never be able to walk the whole trail! Nice Eva! Hiking in my neck of the woods. I’ve yet to read A Walk in the Woods. I’ll have to put it on my list. 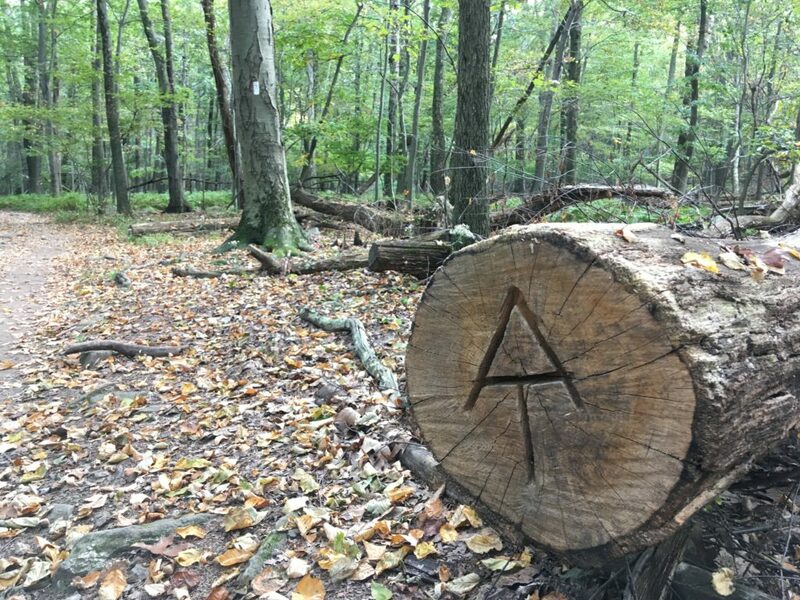 Glad you were able to experience the AT. Very nice, and you’ve made me all nostalgic. A trap, though, that people who grow up in the midAtlantic Appalachians are susceptible to, is believing that all hills make such benign walking. Once you get up into New England, you find that a 2k’ hill is actually not the same thing as a 4500 ft big hill/small mountain, and if you’re foolish enough to go hillwalking in Maine as casually as you might in PA, you’re risking your life. I made the mistake in cousin territory in Scotland, going for a stroll up Ben Nevis, ignoring the signs and failing to check the weather report. And now I know what a hurricane’s like on a mountain – we were lucky to get down and back to the hostel. I do miss the forest. Glad you had a good trip.